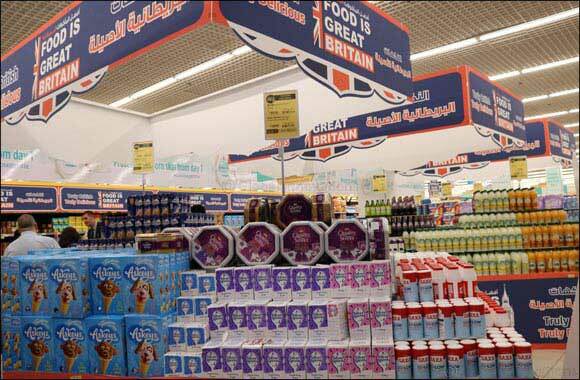 19 March 2019, Abu Dhabi, UAE: LuLu, the largest hypermarket chain in the region, launched its annual British food festival “Food is Great Britain: Truly British, Truly Delicious”. The week-long fest highlights a wide variety of food products imported from the UK, which is available at great discounts from 18th to 26th March 2019. LuLu brings delicious British classics at pocket-friendly prices for the food festival. Savour the fresh flavours of dairies from Rachel's Organic, which are perfect for breakfast or quick snacks to help you with proper digestion and strengthening immune system. Nutrient-packed juices are available to quench your thirst, from Coldpress, Robinsons and The Berry Company. For high quality frozen fruits and vegetables that you can use daily for cooking and baking, Ardo's well-chosen product range can help you save a lot of time and energy in the kitchen, as they are pre-washed and pre-cut. Moreover, enjoy the famous flavours and crisp taste of Walkers crisps, made from the finest potatoes from over 80 farms around Britain.